LOS ANGELES – The Los Angeles County Board of Supervisors voted Tuesday to scrap plans for a women’s jail in Lancaster and approved a new vision for mental health treatment center in downtown Los Angeles, though many criminal justice advocates worried that it might only be a jail by another name. The activists have shown up in force, year after year, to tell the board that billions in construction dollars should instead be spent on diversion programs and other resources to keep people out of jail. 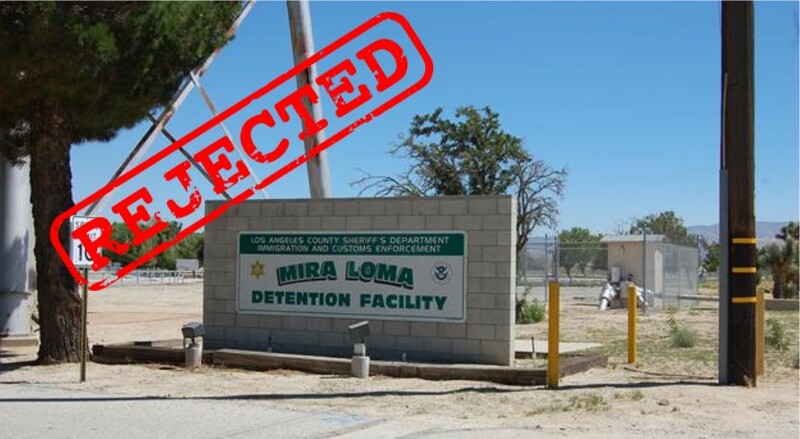 Votes were scheduled to award design-build contracts for a $215 million women’s jail at Mira Loma Detention Center and for a $2.2 billion Consolidated Correctional Treatment Facility to replace Men’s Central Jail. Kuehl proposed an alternative, asking her colleagues to ditch plans for Mira Loma. Activists had long argued that building a jail roughly 70 miles north of downtown Los Angeles would put women — many of whom would be awaiting trial rather than convicted of any crime — too far from their families and other support networks. The board vote was 4-0 to pay $150,000 each to two construction companies that bid on the Lancaster job and cancel the project, with Supervisor Kathryn Barger abstaining. The board unanimously called for a report back on alternative locations, which could include renovating Century Regional Detention Facility. Staffers were directed to work with state officials to see if they can redirect $100 million in grant money committed to the Lancaster project site. The Board also unanimously approved a motion by Barger to repurpose the Mira Loma site into a facility that provides increased housing options for the community. Barger’s motion directed county agencies to work with other stakeholders, including the cities of Lancaster and Palmdale, to report back to the Board with a plan, including recommendations for construction, budgetary needs, and possible funding sources, in 90 days. Instead of the Consolidated Correctional Treatment Facility, Supervisors Janice Hahn and Mark Ridley-Thomas recommended a mental health treatment center, calling it part of the county’s vision for reducing the jail population. As proposed, it would be run by the Department of Health Services and staffed by the Department of Mental Health. Directors of those departments stressed that a “care first” philosophy would be followed. “The truth is, we do not need a new jail,” Hahn said. However, advocates worried that it would just be a jail dressed up as a hospital. Dozens called for a decentralized, community-based clinical service model, with five separate treatment centers countywide. That kind of continuum of care would help build local capacity for the kind of care the board and Mental Health Director Dr. Jonathan Sherin say they want to offer, activists said. As planned at a maximum of 3,885 beds, the facility would be three times the size of the state’s largest mental health hospital. “You cannot provide good mental health care in a facility built for 4,000 people. It’s preposterous,” Peter Eliasberg of the American Civil Liberties Union of Southern California told the board. Just what role custody officials in the downtown mental health center would have was also not immediately clear, though county CEO Sachi Hamai envisioned a “small door” where inmates might enter a locked-down facility and a “larger door” where other offenders could access mental health and substance abuse treatment. There were enough open questions that Kuehl and Supervisor Hilda Solis — who separately co-authored a motion recommending that the county “reimagine jail construction” — voted against awarding the contract to McCarthy Building Cos. Inc.
Solis worried that it would draw resources away from efforts to expand community treatment. “We can do better,” Solis said, urging her colleagues to delay the vote. Solis, whose district includes the downtown men’s jail, also worried about how the county would pay to operate the mental health center. She warned colleagues about making promises they couldn’t keep, recalling the county’s healthcare crisis of the 1990s. “I don’t think that in the years to come the county’s going to be able to look for … any guarantee that we’re going to get Medicaid funding to provide the services,” Solis said. However, Hahn and Ridley-Thomas insisted it was time to act and Barger agreed, voting over Kuehl’s and Solis’ objections. The county has been working on a replacement for Men’s Central Jail for almost 15 years and it’s time to find consensus while keeping the civil rights of those inmates in mind, Ridley-Thomas told reporters outside the board room. “Having them there one day further is completely unacceptable to me,” Ridley-Thomas said. If the county continues to operate Men’s Central, a dungeon-like facility that Barger said is now plagued by rats, it will remain open to lawsuits related to inhumane conditions and workers’ compensation claims by deputies working in an unsafe environment, according to Hamai. Ridley-Thomas was confident about the board’s ability to revise the plan. “There’s nothing here that is irreversible,” he told reporters. The board separately approved motions calling for a working group on Alternatives to Incarceration and studies of the jail population and the county is already working to expand alternatives to custody and invest in more residential mental health care. Sheriff Alex Villanueva — who has drawn some support from criminal justice advocates for comments about reducing the jail population and condemnation from others for what seem to be efforts to roll back reforms related to deputy discipline — was noticeably absent from the meeting and did not respond to a request for comment. Voices on all sides highlighted the importance of decisions made Tuesday, which could affect generations to come. “I do believe this is one of the greatest issues of justice … in our time,” said Dr. Christina Ghaly, who runs the county’s Department of Health Services. “This will be your $3.5 billion legacy and it will be a monumental failure,” Eliasberg warned of the downtown mental health treatment center. 5 comments for "L.A. County scraps women’s jail in Lancaster"
Used to be “War Eagle Field.” Also a hospital for tuberculosis patients. Mayor Parris, City Council Members and Commissions Chairs, now is the perfect opportunituy for all of you to put on your specific agenda’s “Homeless Consolidated Plan Initiative” to turn the Mira Loma facility into a HOMELESS SHELTER SERVING THE GREATER ANTELOPE VALLEY. We have a population that is underserved here in the Antelope Valley with no homeless facility within an approximate125 mile radius. Mayor Parris, I think you remember Norman Pattis synicated Blog “The Mayor’s Two Hats: Hysteria in Lancaster” a very near and dear friend of yours who I reached out to for help in dealing with you. If you need a refresher of that blog, it’s on the internet. This population too needs to be dealt with in a humane way… to end their homelessness and affording them a facility and resources to get them back on their feet and into homes. Put your Commissions to work. Their are Community Based Organization’s assisting these individuals the best we can but we need your help. Help us Mayor Parris help themselves and their families. That statement pledges a commitment to seeking justice for “the poor, the injured, the forgotten, the voiceless, the defenseless and the damned.” Maybe he will change his mind. I have been to the gathering’s with “the press” of course, when he sends M. Crist. That is what the facility will likely be. Now the whole Mira Loma complex that the taxpayers have already paid for can be used to bring real benifit and programs to the issue of homelessness and retraining of people living on the BLVD.